Then, things were looking up for Tessa. Her mum was finally getting her life back on track. Tessa had started seeing Nick. She was making new friends. She'd even begun to paint again. Now, Tessa and Nick are trapped in the car after a corner taken too fast. Injured, stranded in the wilderness, at the mercy of the elements, the question becomes one of survival. But Tessa isn't sure she wants to be found. Not after what she saw. Not after what she remembered. Sixteen year old Tessa is conscious, her arm dislocated, bloodied and bruised as the car left the highway that promised a new direction. Nick rests behind the wheel and on a lonely, isolated road in country Victoria, the fragmented debris a contrast to the Australian landscape. After her father's passing, the darkness emerged. Her mother unable to care for her only child and used alcohol to paralyse her grief while her daughter felt isolated and alone. Alcoholism is an illness that in many cases also accompanies domestic violence, incidences which continue to haunt Tessa. During the depths of despair, the handsome and intelligent Nick reaches out to Tessa and offers her solace from the alcoholic fueled violence of home. The narrative is profoundly resonating. Alcoholism and domestic violence are issues rarely encountered in young adult novels although predominant within our communities. Ellen is an alcoholic. Throughout the nonlinear narrative Ellen is determined to maintain her sobriety after the breakdown of her former relationship, her partner abusive and creating a toxic environment. The remnants of abuse and neglect weigh heavily upon the parental and daughter relationship and understandably, Tessa is reluctant to place her confidence in Ellen. Family violence. No one had been brave enough to use that term, given there were no charges, no evidence. Atmospheric and vibrant, the portrayal of our arid land was immaculate as the two adolescents attempt to survive. The arduous Australian climate scorching the barren Victorian landscape while on the horizon, fire approaches. It was captivating. A Shadow's Breath is a compelling nonlinear narrative, breathtaking and atmospheric. Resonating and personal, a reminder of human fragility. When Nicole Hayes isn't yelling at the Hawks on TV or sharing hosting duties on the all female AFL podcast The Outer Sanctum, she teaches writing and writes fiction, essays and scripts. 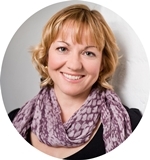 Her debut novel, The Whole of My World was published in 2013 and was shortlisted for a Young Australians Best Book Award and longlisted for the Gold Inky Award. One True Thing, Nicole's second novel, won the Children's Peace Literature Award, is a CBCA Notable Book and was shortlisted for the WA Premier's Book Awards. To celebrate our love for A Shadow's Breath, Nicole Hayes is giving away a choice of two of her titles and a $20.00AU gift voucher. To win, simply head over to Eugenia's Instagram page for more details. I really enjoyed that one too. It's a narrative of two stories both of survival but in very different aspects. I really enjoyed how the two timelines converged. So intricate and such an amazing read! I hadn't heard of this one until now, but it sounds really interesting. Thank you for introducing it to me! It's a brilliant read Megan, really enjoyed it. Would love to see what you think of it! This sounds like it will be a difficult book to read, but also a very important one. Thanks for the honest review, and the giveaway! :) I swear I already knew about this book but for some reason it wasn't yet on my Goodreads. It touched on so many important issues such as alcoholism and domestic violence, which is rarely seen especially in young adult. It's a wonderful read, full of heart and hope. I've seen this book around the bloggersphere, but hadn't got around to looking up what it was about. It sounds powerful! And that cover is rather haunting. I think I better get a snuggle blanket and chocolate before I tackle this one. Wonderful review. Thanks Sarah. Such a brilliant read, I was surprised how emotional I felt throughout the narration as well. This sounds so intense, and you're right, alcoholism and DV aren't normally dealt with in YA -- Hayes seems to have written a book that deals with it carefully and respectfully too. She certainly had. I think young adult in general refuses to show the problems within families so they simply omit parents altogether. Thankfully for Aussie YA authors who write real, often confronting storylines so all teens can relate. A difficult subject and it sounds like the author did a great job with it. 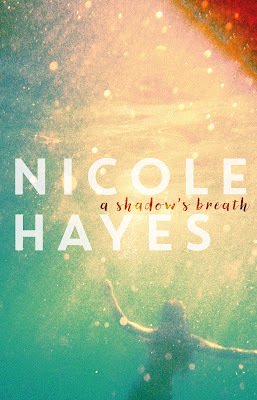 They do and we need more authors like Nicole Hayes to confront difficult issues in YA. I feel as though Aussie authors do this better than their US counterparts as well. Thanks Haniya, I really appreciate it. Thanks Marie, it truly is a wonderful read. I would love to see what you think of it.